Go Abroad China has been a leader in creating life-changing, cross-cultural experiences in China including: mandarin immersion, internship, volunteer, teach, travel, high school programs, study tours and home stays. Go Abroad China is an 9-year-old organization (since 2003) devoted to fostering international understanding through cultural exchange and educational programs in China. Go Abroad China has been a leader in creating life-changing, cross-cultural experiences in China including: mandarin immersion, internship, volunteer, teach, travel, high school programs, study tours and home stays. Since 2003, more than 900 individuals have participated in GAC programs. From the moment we pick you up at the airport to the moment we drop you off for your flight home, you can rest assured that we will be there for you. We are combining Mandarin Chinese language and culture classes with extra-curricular workshops, language tutorials, social activities, interaction with native Chinese speakers, and fun events held throughout the year. Our programs are interesting, reliable and are an affordable options for total immersion into the Chinese language, culture and way of life. Our Staff at Go Abroad China is committed to giving, the best quality program, along with flawless communication. 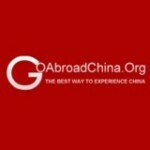 Go Abroad China has offices in the U.S, Germany and China.